With Lent beginning yesterday, Ash Wednesday, I am now on the look out for meat free entrees I can enjoy on Fridays, and this salad has quickly become an absolute favorite! 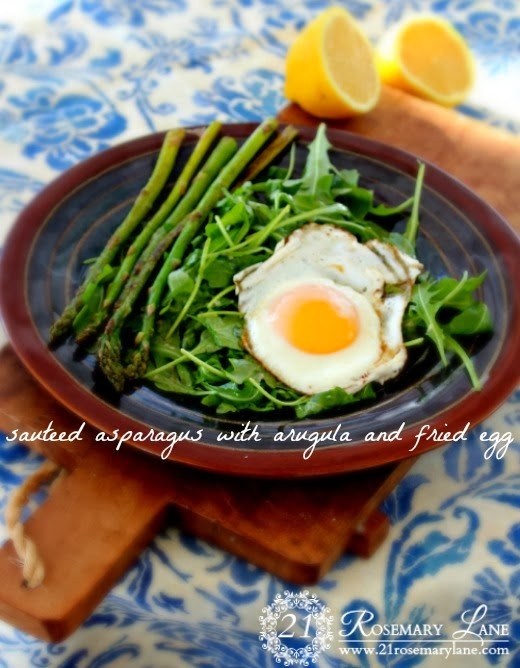 It is almost like a Caesar salad only with a fried egg and arugula plus some yummy asparagus which is now coming into season. Whisk together the first four ingredients, this will be your dressing. Saute the asparagus in cooking spray and lightly season. Cook for about 3 minutes depending on the thickness of your asparagus, and remove from pan. In the same pan, spray if needed and crack the eggs onto the hot surface. Cook for about 3 minutes as well. Toss the arugula with the dressing and divide onto two serving plates. Divide the asparagus and add along with one egg to each plate. 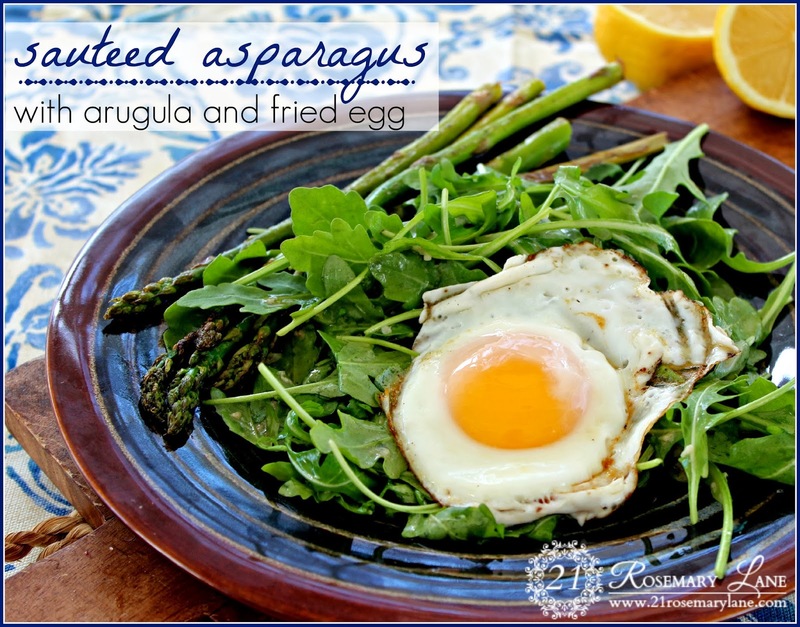 This is so good when you cut the egg and the warm yolk oozes all over the arugula and asparagus! OK!!! I am about to make a LIGHT dinner and I do have these ingedients!!! Thanks! G'day Love photo and great GF recipe!